Registration at Western Michigan University is conducted via the schedule and procedures as found on the Registrar’s website, www.wmich.edu/registrar. This website should be consulted for information on registration dates, the priority registration schedule, drop/add dates, refund dates, final exam schedules, deadlines and methods of payment, and all policies related to registration. Registration by students signifies an agreement to comply with all regulations of the University whenever approved by the University. To begin registration, the student will log in to GoWMU at http://gowmu.wmich.edu and follow the script displayed. Western Michigan University offers advance registration for each enrollment period as described on the Registrar’s website. Students are encouraged to take advantage of advance registration but are cautioned that any subsequent change in their schedules should be made before the final day of the drop/add period. See the sections below for more information about changing registration schedules. WMU undergraduate students who have not earned a degree and have not attended the University for at least four years, and have reapplied to the University, may apply for academic forgiveness through the Office of the Registrar. Students who are granted academic forgiveness may have work still applicable to their program counted toward graduation requirements, but grades will not be calculated in their grade point average. 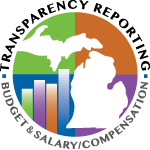 The WMU grade point average will be calculated from a minimum of twelve graded hours of work attempted after the reentry date. All other University regulations apply. As a matter of course, the Registrar will advise students granted forgiveness to meet with a college advisor. Students conducting research that involves human or animal subjects, biohazards, genetic materials, or nuclear materials/radiation must have prior approval of the research proposal by the appropriate University board, thus assuring compliance with the regulations for the protection of such subjects or for the use of such materials. There are no exceptions to this requirement. Registration for courses in which research is conducted that requires such prior approval should not be attempted until the approval is granted by the appropriate University board. The department requiring the course is responsible for assuring that the student has complied with federal, state, and WMU requirements. The student completing such regulated research for a course report, paper, project, or thesis must include the written approval or exemption letter from the appropriate board as an addendum to the report, paper, project, or thesis. For more information, call the Office of the Vice President for Research, 387-8298. Undergraduate students interested in taking advantage of the University Tuition Scholarship Waiver must report to the Registrar’s Office, Seibert Administration Building to pick up the authorization form. Must have previously earned thirty hours of credit from WMU. Must presently be enrolled and have paid for fifteen hours of credit for the semester they are seeking the tuition waiver. Must have an overall G.P.A. of 3.25 at Western Michigan University. Must be an undergraduate student in a degree program. Undergraduate students who meet the qualifications may select one course per semester outside their major, in under-enrolled courses, during the drop/add week only. Once the students have ascertained that they would like to participate in this program and meet all the criteria, they should go to the Registrar’s office for the authorization form. The student will present the signed authorization card to Cashiering, 1270 Seibert Administration Building as their payment. Students may enroll in (add) any course through the first five days of classes of a semester or session. The final date for adding courses is published on the Registrar’s website www.wmich.edu/registrar. Only students who have a class that is not officially scheduled to meet during the five-day drop/add period will be given an additional opportunity to drop/add. Students may withdraw (drop) classes through the fifth (5th) day of the semester or session and the course will not be reflected on the student’s official transcript. All withdrawals received after the drop/add period will be reflected on the student’s academic record as a non-punitive “W” (Official Withdrawal), as long as the withdrawal complies with the policy explained directly below. Students may withdraw from one course, several courses, or all courses, without academic penalty from the day after the last day of the drop/add period for the semester or session, through the Monday of the tenth week (Fall/Spring semesters) and through the Monday of the fifth week (Summer I/II sessions). These withdrawals can be processed by the student online, through Go WMU. A non-punitive “W” will be recorded on the student’s transcript for any classes the student withdraws from after the drop/add period. Students are encouraged to discuss a withdrawal with their instructor before withdrawing as the student may not re-enroll. Student should also be aware that there may be financial aid implications following a withdrawal. A withdrawal from any course or courses which changes a student’s status from full time to part time may have insurance or other implications. Withdrawal from a course at any time after the end of the student-initiated withdrawal period is effectively a grade change. As such it will be permitted only through the Grade Appeals Process, as described in the section Students Rights and Responsibilities, “Course Grade and Program Dismissal Appeals.” To change an assigned grade to “W,” documented hardship must be determined to have existed by a GAPDAC Hardship Assessment Panel, as described in the section Students Rights and Responsibilities, “Hardship Status”. Except for documented and exceptional circumstances, hardship petitions will not be accepted more than on year after the end of the term or session for which the hardship was documented. All petitions filed after the one year timeline must be granted an exception by the Office of the Provost prior to consideration by the Hardship Assessment Panel. The student is strongly encouraged to consult with the University Ombuds before initiating a hardship-based withdrawal appeal. After a semester or session has ended, a student wishing to withdraw from a course may file an appeal for a late withdrawal, as described in the Course Grade and Program Dismissal Appeals section, in the Student Rights and Responsibilities section of this catalog. The Registrar’s Office will record the drop or withdrawal if it has approvals as listed above. Student can process the withdrawal online through GoWMU. Student must have signed approval of the instructor which requires that the student is passing and has a genuine hardship. Student may file for a late withdrawal. The Bronco Card is the student’s photo identification card at WMU. In addition, the Bronco Card is the student’s access card for the library, dining areas, Student Recreation Center, and computer centers and is a security access card for buildings on campus. The Bronco Card also enables the student to ride for free on the Metro Bus Service on any route around the Kalamazoo area. The Bronco Card has the size, look, and feel of a credit card. Included on the card are the student’s picture and signature. On the back of the card is a magnetic strip, used for authentication. The Bronco Card will serve the student as a University ID for as long as the student remains at WMU. Students may maintain academic records under the name used at the time of admission. However, any active student desiring to make an official name change must report to the Registrar’s Office, third floor Seibert Administration Building to record the change. Legal proof is required. Western Michigan University recognizes that some students use first names other than their legal names to identify themselves. As an inclusive and diverse community, WMU allows students to use a preferred first name different than their legal name for certain purposes and records in the course of university business, communication, and education. The legal name must still be submitted at the time of application and will continue to be used where required by law or university requirements. Appropriate WMU senior administration is authorized to make revisions, develop, manage and enforce guidelines to implement this policy to comply with the law, other university requirements, and collective bargaining agreements. Students are expected to be respectful and appropriate in the use of preferred name. The use of the preferred name is not permitted to avoid legal obligations or for misrepresentation purposes. Any misuse can result in discipline as permitted under the Student Code. The University reserves the right to deny the use of or remove the preferred name if it deems the use is inappropriate. A student’s transcript from Western Michigan University is a document listing, at minimum, all courses taken and credit hours and grades earned in the courses. Notwithstanding the Academic Standing policy outlined below, a student admitted with Conditional Admission or Provisional Admission status must meet the specified performance level within the time frame identified in the letter of admission or may not continue to enroll in University courses. Further, the Academic Standing policy inherently presumes the student will first meet satisfactorily any obligations or requirements specified in the letter of admission before the Academic Standing policy shall have any effect on the continuing enrollment of the student. A student is in good standing whenever the student’s overall grade point average is at least 2.0. Whenever the grade point average for any enrollment period is less than 2.0, but the overall grade point average is 2.0 or above, the student will be warned. The student will be placed on probation whenever the student’s overall grade point average falls below 2.0. A student who is admitted (with Conditional Admission status) to the University on academic probation and receives at least a .01 grade point average, but less than a 2.0 grade point average at the end of the first enrollment period, will be placed on Final Probation. A first semester grade point average of 0.00 will result in Dismissal. Whenever the conditions of Good Standing are restored, Probation will be removed. The student will be placed on Extended Probation when, following a semester on probation, the student’s overall grade point average is below 2.0 and the grade point average for the enrollment period is 2.0 or above. The student will be placed on Final Probation when, following a semester on Extended Probation, the student’s overall grade point average is below 2.0 and the student’s grade point average for the enrollment period is 2.0 or above. An undergraduate student admitted to the University on academic probation who earns a first semester grade point average below the required 2.0 minimum, but as least 0.01, will be placed on final probation. A first semester GPA of 0.00 will result in academic dismissal. Once placed on final probation an undergraduate student must receive a cumulative GPA of at least 2.0 the next semester. Failure to do so will result in academic dismissal and enrollment in future classes will be prohibited. Students on Probation or Extended Probation who fail to achieve at least a 2.0 grade point average for the enrollment period, or students on Final Probation who fail to achieve a 2.0 overall grade point average will be dismissed from the University. Students are responsible directly to their instructors for class and laboratory attendance, and for petitions to excuse absences. The student receives one grade in each course taken. This grade combines the results of course work, tests, and final examinations. Grades are indicated by letters, to each of which is assigned a certain value in honor points per hour of credit, as shown in the table below. “Credit” will be posted for each undergraduate student who earns the grade of “C” or better. “No Credit” will be posted for any grade below a “C.” Faculty members will not be notified whether a student is taking a course for a grade or for Credit/No Credit. A student may elect for “Credit/No Credit” any course approved for General Education or General Physical Education credit, as well as other courses not counting toward his/her major or specified in his/her curriculum as defined in the University Undergraduate Catalog. Intern Teaching, a required course, is, however, taken on a credit/no credit basis. Acceptance of “Credit/No Credit” in required courses may be permitted on an individual basis by the head of the department or dean of the college requiring the course. “Credit/No Credit” courses, while counting toward a degree, will not be used to determine the overall grade point average (GPA) of the individual student. Important: Students should be fully aware of the implications of this system for acceptance in graduate schools. It has been ascertained that most graduate schools will accept students who have elected to take courses on a “Credit/No Credit” basis, but that if courses taken on this basis are sufficient in number on the transcript, the Graduate Record Examination may be utilized to determine the student’s acceptability. Graduate schools, in general, do tend to favor those applicants who have good letter grades on their transcripts. This is a temporary grade, which the instructor may give to an undergraduate student when illness, necessary absence, or other reasons beyond the control of the student prevent completion of course requirements by the end of the semester or session. The grade of “I” (Incomplete) may not be given as a substitute for a failing grade. An instructor who assigns a grade of “I” will submit a Report of Incomplete Grade Form located on the faculty menu in GoWMU indicating the remaining requirement for removal of the incomplete grade and indicating the time allowed, if less than one full year.An e-mail will be automatically generated to the student, the Registrar’s Office as well as an e-mail confirmation sent to the instructor. A grade of “W” is given in a course when a student officially withdraws from that course or from the University before the final withdrawal date in the semester or session specified in the Registrar’s website. The “W” is a non-punitive grade. The symbol “X” is used to indicate that a student has never attended class or has discontinued attendance and does not qualify for the grade of ” I.” The “X” will be computed into the student’s grade point average, as a 0.0, the same as an ‘E’. A student who believes an error has been made in the assignment of a grade must follow the procedures described under “Grade Appeals” on the Ombudsman website http://www.wmich.edu/ombudsman/. The policy describes the appeal procedures, the stages of appeal, and the time deadlines for submitting the appeal at the various stages. Faculty who determine outside of the student course grade appeals process, that an error was made in the assignment of a grade must submit a Change of Grade form (located on the faculty menu in GoWMU) within one calendar year of the original grade assignment and must provide a rationale for the change. Instructors should not provide additional work to student after the semester has ended and after a final grade has been assigned. A grade point average is obtained by dividing the total number of honor points earned by the total number of semester hours of work for which the student is officially enrolled during any period. For example, a total of thirty-two honor points earned in a semester by a student officially enrolled for sixteen hours of work, gives a grade point average of 32 ÷ 16 or 2.0 for the semester. The number of honor points earned in a course is the number of semester hour credits given by the course multiplied by the honor points assigned to the grade earned in the course. (See the “Grading System” table above.) For example, a grade of B (3 honor points) in a 4 credit hour course gives 4 x 3, or 12 honor points. Western Michigan University participates in the Advanced Placement Program (AP) of the College Board. Students who earn the required score on an AP exam will receive college credit in the appropriate subject. For information about AP score requirements and equivalent credit awarded at Western, visit http://wmich.edu/admissions/freshmen-ap. Students should have College Grade Reports of their test scores sent to the Office of Admissions at Western Michigan University (college code 1902). After AP College Grade Reports of examination scores are received and evaluated, the Office of Admissions and Orientation will notify students of the specific decisions regarding any credit award. After students’ enrollment at Western, the Office of the Registrar will post course credit to students’ transcripts. This program provides the opportunity to earn college credit by examination in a variety of areas of study. There are two types of tests offered—general examinations and subject examinations. Western Michigan University’s credit award policies for each type are noted below. Interested students should check with their WMU academic advisors before making testing plans. Official score reports of CLEP testing should be sent to Western (college code 1902) by the Educational Testing Service (ETS). In reference to CLEP credit granted by Western Michigan University and the University’s graduation requirements, CLEP credit is not applicable to the required hours completed at an accredited four-year, degree-granting institution. 1. Students may take the general CLEP examinations only before completing 24 hours after entering or re-entering WMU. Students who have already received credit for a college writing class cannot receive credit by passing the College Composition examination. Students who have already received credit in a college mathematics course cannot receive credit by passing the College Mathematics examination. Students who completed a WMU course or transfer equivalent that applies to the General Education Distribution Area of Fine Arts, Social and Behavioral Sciences, or Natural Sciences cannot receive credit for the corresponding CLEP examination. 3. The following guidelines shall apply in the earning of CLEP credit. If a student passes the Humanities examination with a score of 50 or above, three hours of credit will be awarded in Area I (fine arts) of the General Education Program. If a student passes the Social Sciences and History examination with a score of 50 or above, six hours of credit will be awarded to Area V (social and behavioral sciences) of the General Education Program. If a student passes the College Composition examination with a score of 50 or above, three hours of credit for ENGL 1050 will be awarded in Proficiency 1 of the General Education Program. If a student passes the Natural Sciences examination with a score of 50 or above, three hours of elective credit will be awarded in Area VI (natural sciences) of the General Education Program, but will not satisfy the lab course requirement for Area VI. If a student passes the College Mathematics examination with a score of 50 or above, three hours of credit will be awarded in Proficiency 3 (mathematics) of the General Education Program. CLEP subject examinations test specific knowledge areas and, unlike the general examinations, any Western student may take them and receive credit with appropriate scores. The University awards credit for only a limited number of the CLEP subject examinations. Students may not receive CLEP subject credit if they have already received college credit for an equivalent course. Visit the Office of Admissions website at http://wmich.edu/admissions/transfer-clep for detailed information about Western’s score requirements and CLEP credit policy. Each department shall have the authority, with the approval of its dean, to establish a procedure for granting credit for any course in that department through comprehensive examinations. All comprehensive examinations should be administered by authorized personnel determined by the department. Each department should determine those courses for which the comprehensive examination procedure applies. All credit will be posted as credit only, without grade or honor points. Students who do not achieve a sufficient score for credit will have no entry made. Credit by comprehensive examination in courses numbered 3000 or higher can be used to meet the requirement that one-half of all academic work must be completed at a four-year degree-granting institution. Credit by comprehensive examination can be used to meet all other University graduation requirements, except the minimum residence requirements. Credit by comprehensive examination can be posted only for admitted students who have either previous or current enrollment. All credit by comprehensive examination is normally considered undergraduate credit. Examination fees are assessed on a credit hour basis and are the same for all students. The current fee schedule: less than four credit hours, $50.00 Four credit hours to eight credit hours, $100.00. By special arrangement, some course examinations may require higher fees. All students enrolled in a course in which a final examination is given must take the examination. Student requests for an examination at any other time than that scheduled may not be honored. Part-time undergraduate students are defined as taking fewer than twelve hours during a semester or fewer than six hours during a session. Three-quarter time undergraduate students are defined as taking nine to eleven hours during a semester and five hours during a session. University Housing has its own regulations on the definition of hours needed to be eligible for housing contracts. Students should contact the University Housing Office for this information http://wmich.edu/housing. The above definitions are Western Michigan University regulations and may or may not be accepted by other agencies. All undergraduate student enrollments will not exceed 19 hours for the fall or spring semesters and will not exceed 10 hours for the summer I or summer II sessions. These enrollment caps can only be increased for a given semester or session by prior permission from a student’s college advisor. Have completed at least twelve semester hours of work during the fall or spring semester for letter grade. Have a grade point average of at least 3.50 for the semester. Have completed at least six semester hours of work during the Summer I or Summer II for letter grade. Have a grade point average of at least 3.50 for the session. Honors are conferred upon graduating students who have displayed a high level of performance during their University career. All credits and honor points earned at Western Michigan University will be counted. All students must have earned at least fifty semester hours of course work at Western Michigan University which was graded by a letter grade and computed into the final cumulative grade point average. The graduation program will list as candidates for honors all students who have earned a point-hour average of 3.50 through the next-to-last semester of residence (based on a minimum of forty-five semester hours of credit earned at Western of which thirty-five hours must be in courses with grades.) Final determination of honors and level of awards will be based upon all work and will appear on the final transcript. Independent Study refers to enrollment in an appropriately designated, variable-credit course for a specific plan of study, authorized and supervised by a designated, consenting faculty member. Independent Study is not a substitute for regular courses, but an enrichment opportunity. Normally, it is a project designed to allow students to investigate an area of interest not within the scope of a regular course, to probe in more depth than is possible in a regular course, or to obtain an educational experience outside that normally offered by a regular course. Since individual Independent Study projects are not normally reviewed through the usual departmental and University processes, it is essential that the academic adequacy of such projects be assured by some other means applied consistently throughout the University. The following policy guidelines are intended to serve that function. Independent Study requires an adequate description of the work to be undertaken, requiring planning in advance of the registration period. Sufficient time, therefore, must be allowed for such planning and for obtaining the necessary faculty and administrative approvals. While the Independent Study project is normally student-initiated, early interaction with faculty is essential in the development of a mutually acceptable project description. At a minimum, such a description should contain an outline of the study topic, specification of the work to be done and the materials to be read, the credit to be given, the type and frequency of faculty-student contacts, and a statement of the evaluative criteria to be used by the faculty member. The faculty member must accept and approve the student and the project, and then submit the agreed-upon proposal on the appropriate University form to the department chairperson for approval. If the chairperson approves, information copies of the form must be submitted to the dean and the Registrar. The granting of approval by the department chairperson may involve considerations, such as faculty workload, which go beyond the merits of the project. Independent Study is basically a tutorial process, necessarily involving substantial faculty participation. In that respect, it should be distinguished from “credit by examination,” a different option in which the role of the faculty member is primarily evaluative. A student is on his/her own in Independent Study in that it involves no class meetings or formal lectures, but the faculty member is the responsible custodian of the project, obliged to provide guidance, assistance, criticism, suggestion, and evaluation, and shall be the instructor of record who is responsible for turning in a grade to the Registrar’s Office. The following is the general University policy regulating repeated courses. Some academic Colleges, however, have a somewhat different policy regulating students in academic programs within those Colleges. You are advised to seek the counsel of the academic advisors in the College advising offices regarding the specific repeated course policy for that College. Any course in which a student may have been enrolled more than once is considered a repeated course. A grade must be presented for each course, and any course first elected for a letter grade must be elected for a letter grade when repeated. If a student wishes to repeat a course taught by an overseas institution during WMU sponsored study abroad, the pre-approved WMU equivalent course may be repeated for credit if the student’s department approves. Only the most recent grade for a repeated course is used in calculating a student’s grade point average. However, if a student receives a letter grade in the first enrollment and then enrolls again in the course and receives a grade of “W,” “Cr,” or “NC,” the previous grade will remain in the grade point average. The number of times a course can be taken is limited to three, although courses in which grades of “W,” “Cr,” or “NC” are received will not count as attempts in limiting the maximum number of times a student can register for a course. Appeals may be addressed to the department chairperson. There is no limit on the number of different courses that can be repeated. A repeated course is not removed from the student’s record. All grades earned are shown on the transcript. Many graduate and professional schools recalculate the grade point average using grades from all classes taken, including repeats, in determining eligibility for admission. This fact should be carefully considered by students who are attempting to increase their grade point average by repeating courses in which they have received a passing grade. Students in the College of Engineering and Applied Sciences may enroll in a course that is required in their curriculum only three times. Any additional enrollments require prior written approval of their department chair. Service-learning, co-curricular learning and volunteerism are all forms of experiential learning that do not include financial remuneration. Experiential learning is an important aspect of a student’s academic career and includes pedagogies that incorporate practical application and hands-on experiences into learning. Number of hours is set by the organizing body-Registered Student Organizations (RSO’s), Resident Assistants (RA’s), other student groups, etc. To help each student develop the ability to think critically and objectively, to locate and assess information, and to communicate clearly and effectively in speaking and in writing; to expose each student to the knowledge and insights essential to significant participation in our increasingly technological, interdependent, and rapidly changing world; to assure that each student has the opportunity to examine the central role of ethics and values in the shaping of meaningful lives; to structure the learning experience so that students can appreciate and understand the importance and consequences of our diverse cultural and ethnic heritage; to instill in students a lifelong love of learning and a desire for involvement in the world of learning; and to enable students to acquire mastery of a field of inquiry or profession sufficient for an understanding of its methods, its subject matter, and its future in our world. To assume primary responsibility for their own growth and education, to achieve a genuine sense of competence, and to develop the motivation and ability to perceive and pursue learning as a continuous process. To acquire the knowledge, skills, and will to examine critically human experience, especially as that experience relates to contemporary life and illuminates the future. To gain an understanding of the persistent values of their own and other cultures and the ability to respond critically, sensitively, and sympathetically to cultural differences and change. To achieve greater self-knowledge and self-esteem, increased understanding and empathy with others, and an enhanced ability to relate positively to their fellow human beings. C.U.E. Report, 1971, p. 13. A bachelor’s degree should signify that the individual to whom it is granted has had a broad and balanced education, as well as concentrated studies in at least one discipline or area of knowledge. It should also signify that the individual has acquired intellectual skills that are applicable across a wide range of endeavors, as well as those narrower skills appropriate to a specialization. Thus the University requires structured plans of study leading toward both a specialized and general education. Specialized education—the primary objective of concentrated study in majors, minors, and curricula—normally restricts the scope of concern in order to ensure a detailed, specific competence in techniques and subject matter. It seeks to accomplish these ends through a program of study comprising a number of segments (courses) taught by specialists and planned to contribute to the whole; the intended result is a person with particular information and a set of skills and abilities usually shaped by specific job demands and descriptions. Often the goals of specialized education are determined or strongly influenced by external agencies, e.g., accrediting bodies or professional field demands, as much as by the stated goals of the University. General education, on the other hand, is concerned with the breadth and balance of learning, and with the versatility that comes with proficiency in intellectual skills that have universal application. General education should develop each student’s knowledge, capacity for expression and response, and critical insight to help the student become a capable, well-informed, and responsible citizen of a culturally diverse society in a complex world. To this end, the University’s general education program aims to improve the student’s competence in mathematics and language, both oral and written, and to foster the will and ability to think clearly, critically, reflectively, and with as much precision as the subject allows. While requiring a degree of proficiency of everyone, the University’s general education program enables a student to master foundational intellectual skills through a sequence of related courses. General education also seeks to extend the undergraduate learning experience beyond particular academic or professional concentrations. It aims to acquaint the student with essential subject matter and methods of knowing in the arts and humanities, the social and behavioral sciences, mathematics, and the natural (including applied) sciences. Moreover, it aims to enable the student to use technology appropriately, and to understand the value of individual health, fitness, and well-being. These aims are based on the belief that such learning enriches human experience and fosters understanding of oneself, others, and the world. While the two kinds of education can thus be distinguished, they are essentially complementary, not antithetical, elements of an undergraduate education; and courses in each type often contribute to fulfilling the goals of the other. Study in depth can reward the student with a sense of competence and the sobering awareness of how much is yet to be learned in any field, while the broader perspective and the habit of seeking interrelationships enhance the benefits of specialized study. Furthermore, just as specialized programs mandate some breadth in a student’s education, so should the general education program allow some study in-depth. The program has two parts: proficiencies and distribution areas. What follows describes these elements of the program. However, all descriptions of course content and structure presuppose the individual professor’s freedom to teach the course according to personal professional judgment. Stated requirements are not intended to impinge upon academic freedom, but only to specify a range of content within which the course should be structured. Matters of interpretation and pedagogy are the sole prerogative of the individual professor. Courses should further the goals of general education articulated in the introduction to this document. Courses may be those specifically designed for general education, or they may be introductory or intermediate courses in a major sequence so long as they conform to the goals of general education. Advanced courses may be offered for proficiencies 2 (baccalaureate-level writing), 4a (advanced writing), and 4b (optional mathematics or quantitative reasoning). Courses at the 5000-level do not count towards general education. Courses with prerequisites may count towards general education. Grading and the amount of work required of students should be as rigorous in general education courses as in courses for majors. However, course work and teaching methods should be designed to open the discipline(s) to non-specialists. All courses included in general education must have syllabi consistent with the syllabus template adopted by the Faculty Senate on October 6, 2011 in MOA 11/02. Syllabi and other related materials must be made available to the COGE as part of the request for a course to be granted general education status. Departments that offer courses in multiple sections should demonstrate that all sections meet the standards of general education and are comparable with one another. In the case of variable topics courses which may be taken more than once for credit when the subject matter is different, the different course subtopics should be reviewed for general education credit, and not simply the basic courses. Students may receive credit by examination in place of coursework in the proficiencies, but not proficiencies 4a-4g, if the department offering the course provides for credit by examination, and the COGE approves. Placement in a foreign language at a second-year level does not waive the fourth proficiency requirement. Courses approved for general education credit should, if possible, be offered at least once every two years. If a department seeks approval for a course that is other than three credit hours, it should explain the basis for the difference in credit-hour requirements. Writing courses that satisfy proficiency requirements should work to develop students’ ability to express themselves effectively in writing. Specifically, college-level writing courses should develop the ability to think critically and reflectively about written material, an awareness of the process of composition, the ability to employ appropriately, though not necessarily faultlessly, the grammatical and mechanical conventions of standard written English, and the ability to organize materials and to develop and support ideas and arguments and express them clearly. Baccalaureate-level, writing-intensive courses should reinforce the skills acquired in college-level courses and should promote maturity as a writer. They should further the ability to analyze and evaluate writing, the ability to construct and develop a point or idea, the ability to develop organized paragraphs and use appropriate transition devices, and the ability to employ the grammatical and mechanical conventions of standard written English. Papers in every course approved for baccalaureate-level writing must be substantial in nature and length. Instructors and departments will be responsible for determining the format, modes of presentation, technical vocabulary, and research or bibliographic conventions appropriate for writing in their respective disciplines. These descriptions do not supersede criteria stated in the current University baccalaureate-level writing requirement. place into Math 1220/1700 (calculus) or higher on the Mathematics Placement Exam. Courses satisfying this requirement may be offered in the Departments of Mathematics or Statistics or in other departments that offer courses satisfying the described criteria and requiring the use of the skills of Math 1100 as part of the course content (Math 1110 does not satisfy this requirement). These skills are those derived from the study of arithmetic foundations of algebra, properties of real numbers, linear equations and inequalities, and systems of linear equations. Courses satisfying the proficiency must significantly advance students’ mathematical skills and competencies beyond the level of one year of elementary algebra. Advanced writing courses should promote mastery of the mechanical, rhetorical, or aesthetic conventions of writing. The second course in mathematics or quantitative reasoning that students may take for general education credit should build upon the skills developed in their required quantitative reasoning course or its equivalent. Courses may be selected from statistics, discrete mathematics, general topics in mathematics, foundational calculus, or other related approved courses. Courses should help students become more skilled in making several kinds of distinctions: between arguments (chains of reasoning) and other information, between conclusions and premises, between the different patterns of arguments, between complete and incomplete presentations of arguments, between strong and weak arguments, and between cogent and ineffective ways of exposing weak arguments. Courses should help students become more skilled in resolving differences of opinion by locating common ground, by marshaling arguments, and by becoming sensitive to fallacies and other pitfalls of disputes. Courses should sensitize students to methods of overcoming differences that obstruct agreements to cooperate, so that the parties may come to an accord on how to interact with a minimum of dissatisfaction and a maximum consideration of the merits of each side. Courses should help students become more skilled in planning tasks involving choices and uncertainties. To develop these skills, students should learn techniques for analyzing and operationalizing the tasks, e.g., formulating objectives, flow-charting, programming, and assessing probabilities. Courses in oral communication should promote a breadth of skills in listening and clear expression in interpersonal or public speaking situations. Courses that satisfy this proficiency should foster the ability to use appropriate listening and expressive skills, to inform and persuade, and to analyze and synthesize for problem solving in interpersonal or public settings. Courses should enable students to recognize, describe, and produce under appropriate conditions the basic grammatical features and vocabulary of American Sign Language with the aim of achieving conversational fluency. Courses should also enable students to recognize and describe the essential features of the culture, education, and communication strategies of deaf people. Courses are not limited to those offered by the Department of Computer Science. Foreign language courses should develop facility in understanding, speaking, reading, and writing a language other than one’s own. Additionally, these courses should introduce salient features of the culture from which the language derives or in which the language flourishes. Two semesters of college-level foreign language study will satisfy this requirement; students entering the University with college-level knowledge of a foreign language will be allowed to satisfy this requirement by taking two more advanced language courses or by taking two semesters of yet another foreign language. be designed for the layperson rather than the skilled practitioner. Courses may focus on the role of an art or the arts in a culture or on the enhancement of life they provide the individual. Courses may introduce students to the practice of an art so long as they meet the three criteria cited above. Explain the role of the arts in reflecting and influencing the human condition. Describe the historical context of various art forms. Interpret, evaluate, and describe aesthetic experiences and creative activities. Demonstrate knowledge of formal and thematic characteristics of different media and genres. Humanities courses offer the opportunity to study some of the forms by means of which human beings have reflected upon and represented human experience and the varieties of the human condition. These forms are mostly linguistic-literary, philosophic, historiographic, and religious. Sources studied in the humanities courses should be presented in ways that develop appreciation for their intellectual and aesthetic integrity and their imaginative scope. They should be studied in ways that require effort of response and reflection, and expand the students’ critical and empathic capacities. Explain the intellectual traditions that have helped shape present cultures. Describe the historical context of various literary, philosophic, historic, or religious works. Evaluate qualities and characteristics of works of literature, philosophy, history, or religion. Explain the role of at least one of the humanities in reflecting and influencing the human condition. may focus on the ethical, legal, and institutional aspects of the fact of diversity in United States history and culture. Explain the characteristics and historical background of diverse racial, religious, political, and social groups in the U.S.
Identify issues such as age, class, disabilities, gender, race, or discrimination that have an impact on the cultural life of the United States, and analyze the roles those issues play in U.S. culture. Identify some of the historical dynamics (social, economic, political) that have shaped a current social condition (for example, economic and social segregation in U.S. cities or economic inequality) and explain how that dynamic has contributed to that condition. explore alternative views of modernization. Explain the adaptive nature of culture. Explain the influence and contributions of at least one other culture and/or civilization. Describe the history, literature, arts, religion, ideas, and institutions of at least one culture other than one’s own. Compare, contrast, and evaluate two or more different cultures, including one’s own. focus analytically and critically on the history or prehistory of societies, particularly those not covered in distribution areas III and IV. Describe how geographic, political, and historical processes influence the social and behavioral science issues. Examine critically the applications of the social and behavioral sciences for policy and public service. Analyze data and draw appropriate conclusions. have a designated laboratory work assignment. General purpose laboratory courses which instruct in scientific methods independent of a particular science discipline are not eligible for satisfying the general education laboratory sciences requirement. Only discipline-specific courses in the areas of physical sciences, earth sciences, or life sciences satisfy this requirement. Apply the scientific method of discovery to the study of natural phenomena by critically evaluating and analyzing data and reaching the appropriate conclusions. Use scientific concepts and vocabulary to explain and make predictions about natural phenomena in a physical, life, or behavioral science. A substantial portion of the course work must be devoted to the teaching of the relevant science and technology. Techniques and skills acquired without learning an underlying natural science do not meet this criterion. The courses should also explore the costs and benefits of society’s decisions regarding the uses of the sciences they teach. A substantial portion of the course should prompt reflection on responsible choices between competing values and interests. global challenges (e.g., population growth, climate and atmospheric change, loss of biodiversity, and resource management) involving more than one science and technology; or content from the social and behavioral sciences, humanities, and fine arts. Courses in this area lend themselves to a multi-disciplinary approach, and may be the sole responsibility of individual instructors with wide competencies, or may be team-taught, or may be offered by a group of instructors, each assuming responsibility for a module of the course. Describe the history of technological innovation and its impact, both positive and negative, on society. Explain the interconnection between the natural sciences and advancements in technology as they impact health, social and economic welfare; the storage, transfer, and processing of information; and the environment. Demonstrate the ability to evaluate and participate in making societal decisions regarding science and technology. Courses which satisfy this area must advance students’ knowledge and ability to influence their own health. Course content should examine national and global health priorities regarding the reduction of preventable death, disease, and disability among students and should include material on HIV/AIDS, and alcohol and substance abuse. Courses which satisfy this requirement should improve a student’s capacity to make healthy lifestyle choices. Single-topic courses may not be used to satisfy the requirement, and course content must address a minimum of four areas of health-related issues such as substance abuse, stress-related issues, grief and loss, development of healthy relationships, sexually transmitted diseases, lifestyle related diseases (primarily heart disease and cancer), and the principles of a healthy lifestyle. Courses may be drawn from any department within the University. A maximum of eight (8) hours of general activity physical education may be applied toward electives for graduation credit. Students who have completed Initial Military Training in the United States military will be deemed to have satisfied and will receive two credit hours for Area VIII Health and Well-Being of the University General Education Program. Training completion will be verified by the student’s DD-124, Joint Service Transcript or certificate of completion from the military training institution. Initial Military Training is defined as completing advanced individual training, A-school, or tech school. Identify major health issues affecting students and other people and describe ways of reducing preventable disease, disability, and death. Describe the principles of a healthy lifestyle and ways of assessing health risks.